If you aren't a member of PHnw, please join us! Spring is finally upon us after a very wet (and in most areas still wet) winter. I hope everyone is enjoying the longer daylight, the fast-growing lawns and gardens, and the fragrance of the season in the air. Our annual conference, held two weeks ago in Olympia, was a wonderful success and chance to reunite for many folks in our community. There were many attendees from Olympia, Portland, and Seattle as usual, and also joining us this year was a large contingent from Vancouver BC, including representatives from city government, research foundations, designers, builders, and suppliers. From their compelling presentations, notably by City of Vancouver's Chris Higgins and Pembina Institute's Dylan Heerema, Vancouver is leading the continent in implementing building policies to fight climate change, and their Passive House industry is showing us what scaling up looks like. Clearly, a Passive House focused approach can be replicated by other cities without driving up prices. Mike Fowler, of Mithun (Seattle). Mike is an architect at Mithun, where designs a range of green buildings. He has 25+ years of experience on award-winning projects including two net-zero energy designs. He has served on two Technical Advisory Groups for the Washington State Building Code Council (Energy Code and Green Building) and has chaired the Codes and Planning Policy Committee for AIA Washington Council. Recently, Mike co-founded the Council on Airtightness Performance Excellence (CAPE) with the group goal to become a regional resource for policy, design, and construction practice. ...and welcome back to those reelected to additional terms: Joe Giampietro, Joshua Salinger, Markus Barrera-Kolb, Wayne Apostolik - Thank you for continuing this good work! 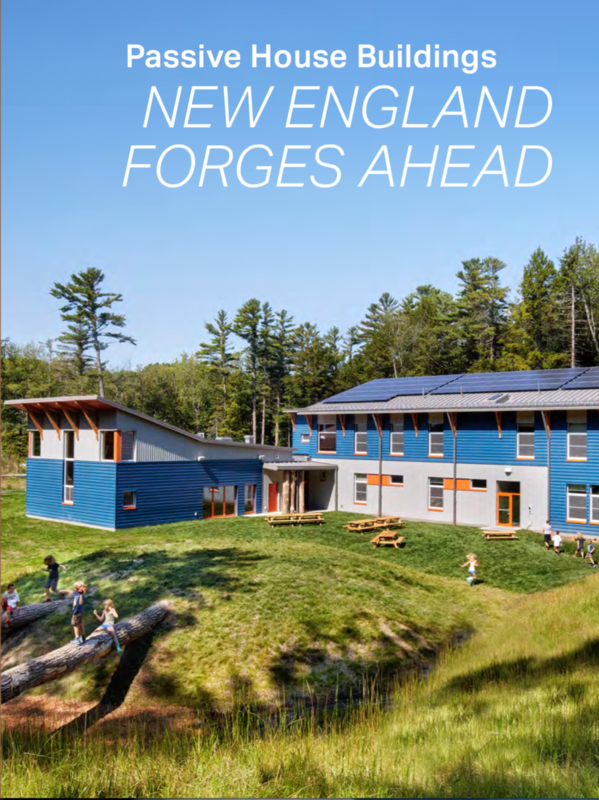 New England Forges Ahead, Tad Everhart and Mary James sixth Low Carbon Productions book featuring 50 Passive Houses in 7 states is now available as a free flipbook or pdf. The Passive House Institute has published a free flipbook covering virtually every aspect of phased (step-by-step) EnerPHit (Passive House deep energy retrofits). While moldy, overcrowded homes are a sad reality in many First Nations, some communities are looking within and finding unique ways to shelter their people. On the Yale First Nation, near Hope, B.C., that means the construction of modular units that can be heated for much less than standard houses, while lasting longer in the province's often wet weather. It's a far cry from previous years, when many of the homes were falling apart. "They were dilapidated, one was condemned and demolished and the other cost us $100,000 just to renovate," said Crystal Sedore, Yale First Nation's housing manager. We Need YOUR Passive Building Expertise! 95% of all certified passive building in North America is PHIUS+ Certified. PHIUS+ Certified and Pre-Certified projects now total 1.2+ Million square feet across 1200+ units nationwide. PHIUS has trained over 1500 CPHCs, 500 Builders, 200 Raters/Verifiers and now we look to your expertise to make this year's conference even better than the last. 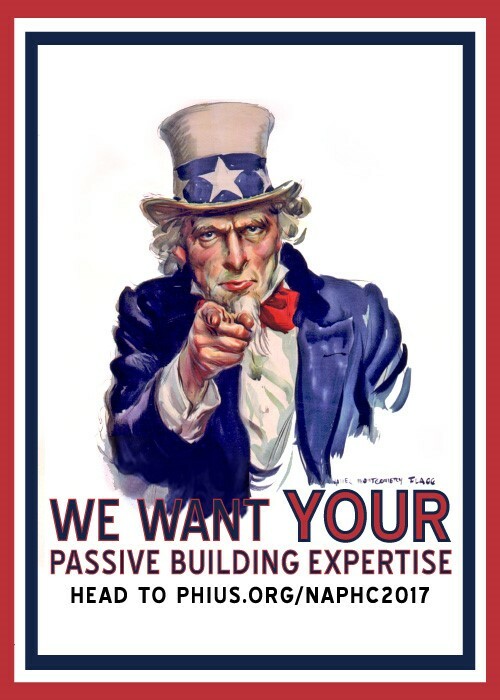 PHIUS is pleased to open the call for papers/presentations for the 12th Annual North American Passive House Conference & Conference Proceedings Publication. This is the leading Passive Building Conference for climate-specific Zero Energy Design, Construction, and Building Science Expertise. Conference Presentations Call for papers is open until MONDAY 5/8. Submit your presentation topic now! As we work to design the most engaging schedule for NAPHN17, we call to the experts in the field to contribute their thoughts, expertise, and experiences. Tell us about your case studies and trials in the field, tell us about your research, tell us about developments and innovations, about data and project management. The call for papers is now open! Submit your presentation idea by clicking here. In a partnership between PHnw and the EcoBuilding Guild we are presenting the first in a series of 3 workshops that focus on the non-energy related benefits of building to the high-performance standards. The first of these presentations is focusing on the health benefits. These presentations are directed at the everyday home owner and will show detailed ways building a better home has the potential to create healthier spaces. Do you have a Passive House project? Share it! PHnw is looking for pictures of Passive House projects to include on our website. If you would like to share your project on our rotating slide show, please email your picture to [email protected].